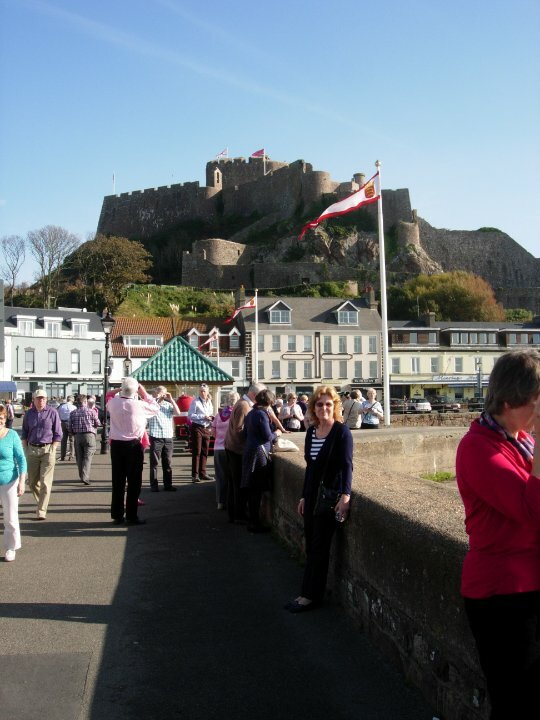 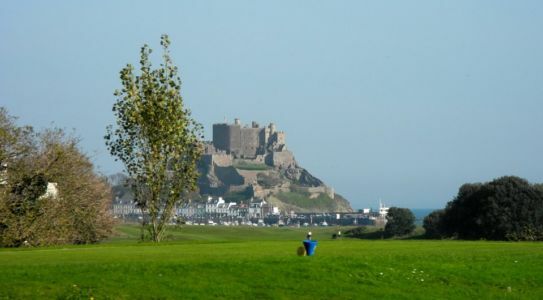 Traditionally, our biennial tours have taken us to Northern Europe, but for our eighth tour we decided to take to the skies with British Airways on October 29, and head for the beautiful, sunny island of Jersey. Our party numbered seventy, including Nick, our Musical Director, and Adrian, our accompanist, and twenty-three supporters. 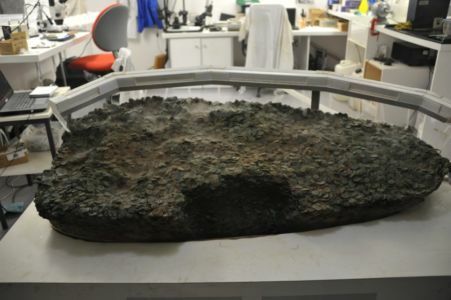 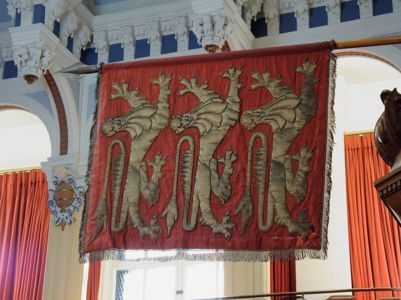 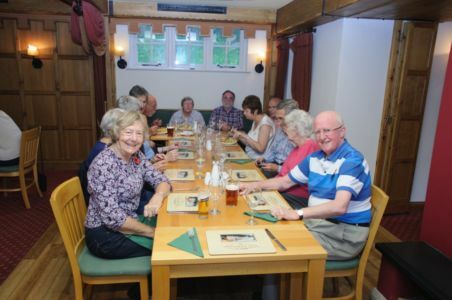 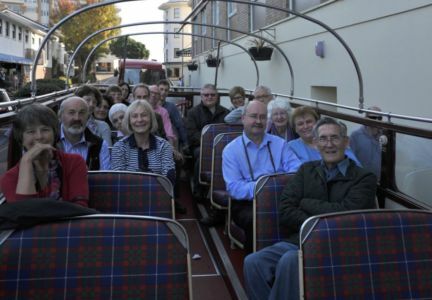 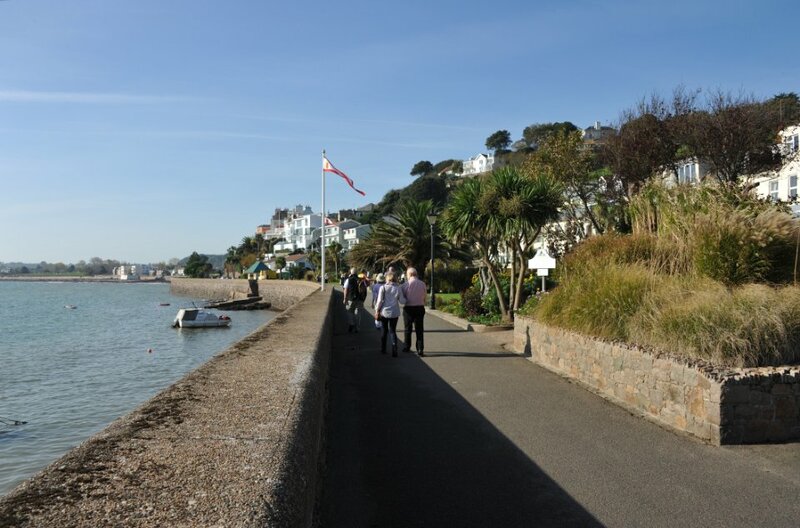 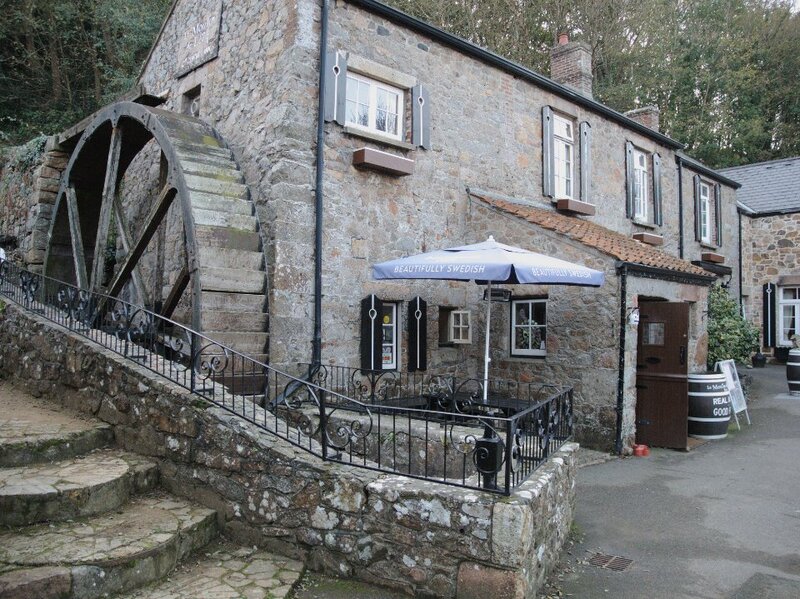 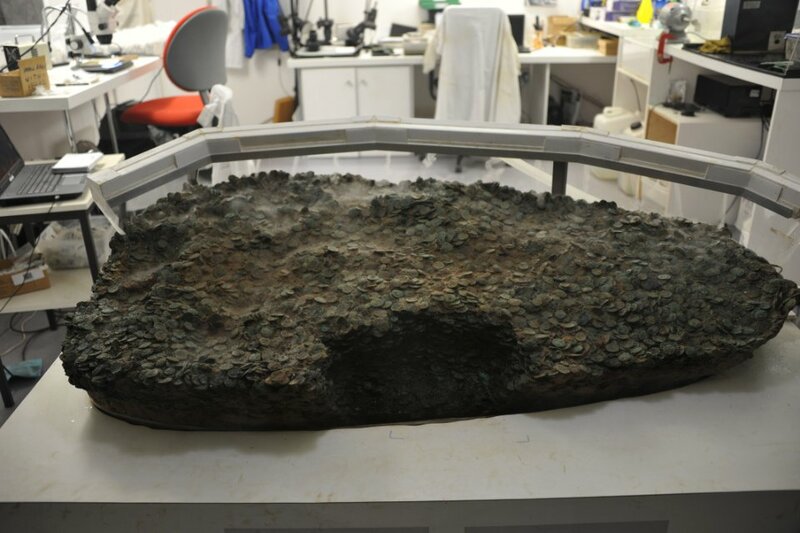 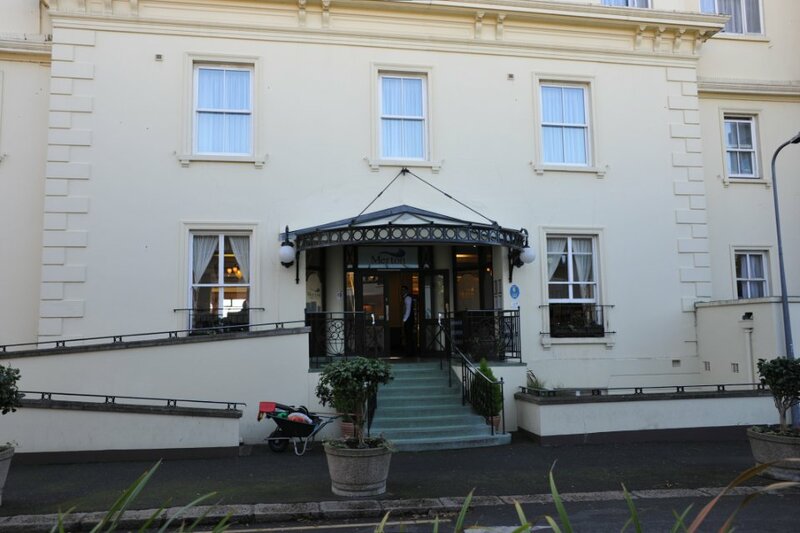 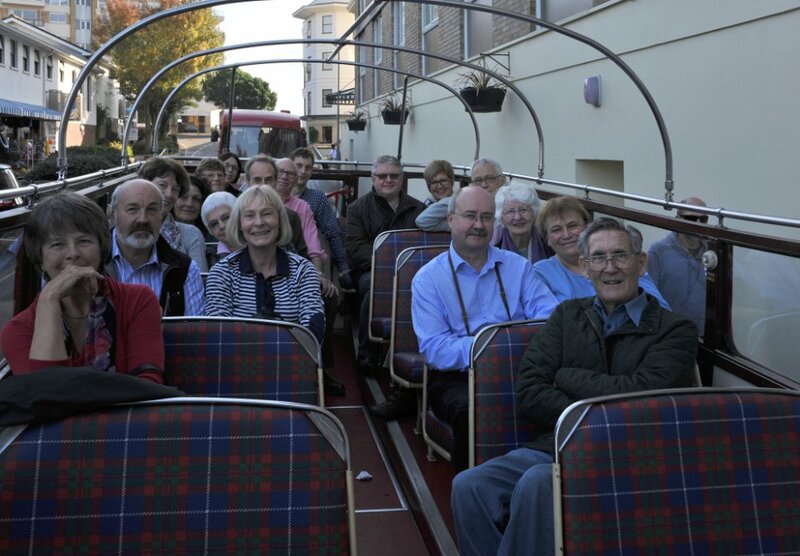 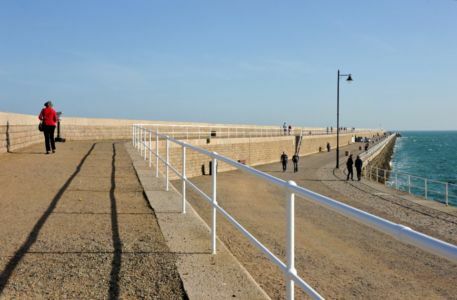 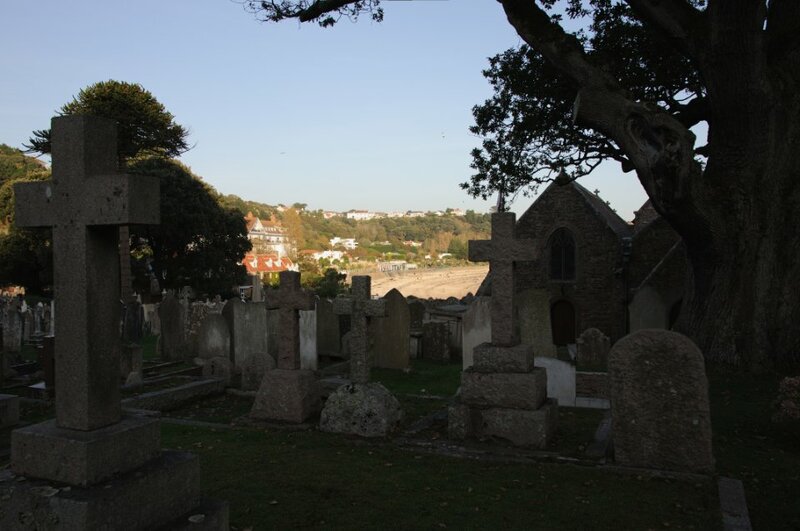 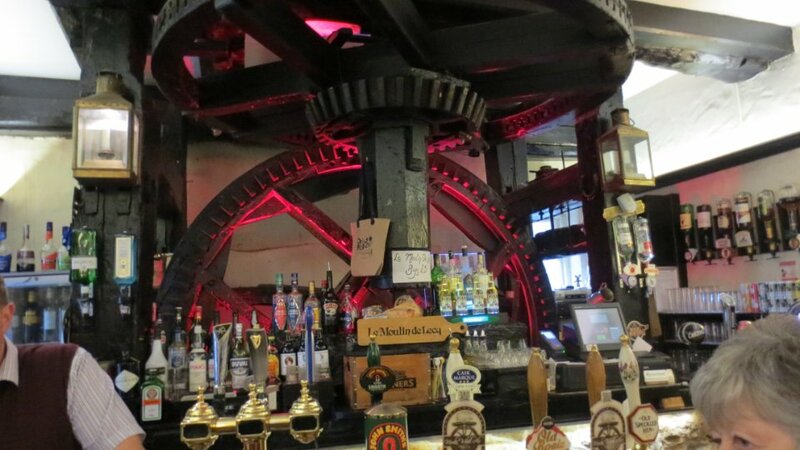 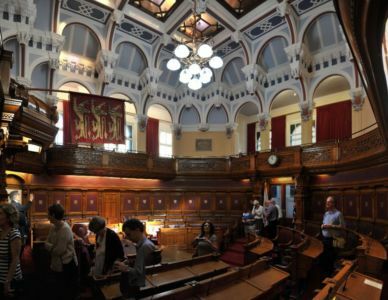 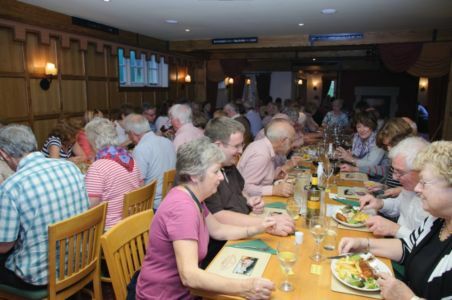 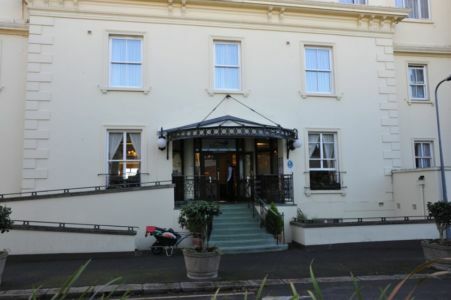 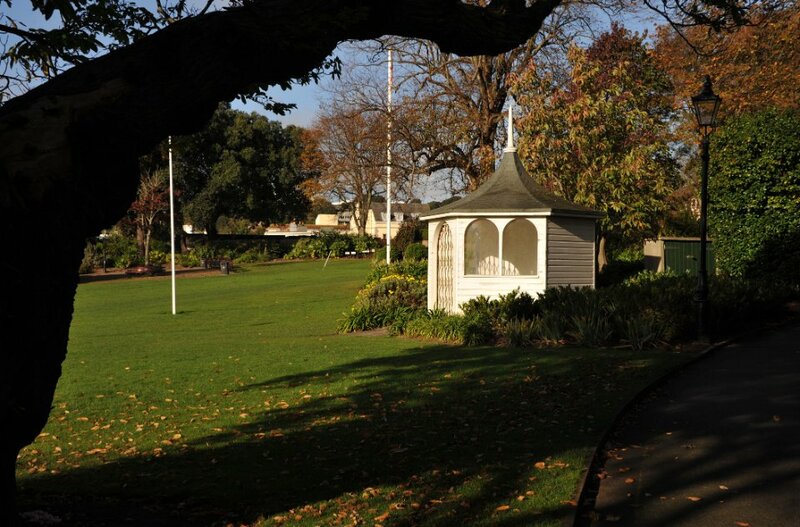 For our five-day tour we stayed at the Merton Hotel, perfectly located in St. Saviour and an easy stroll to the town of St Helier with its coastal walks, harbours, museums, shops and plethora of eateries! 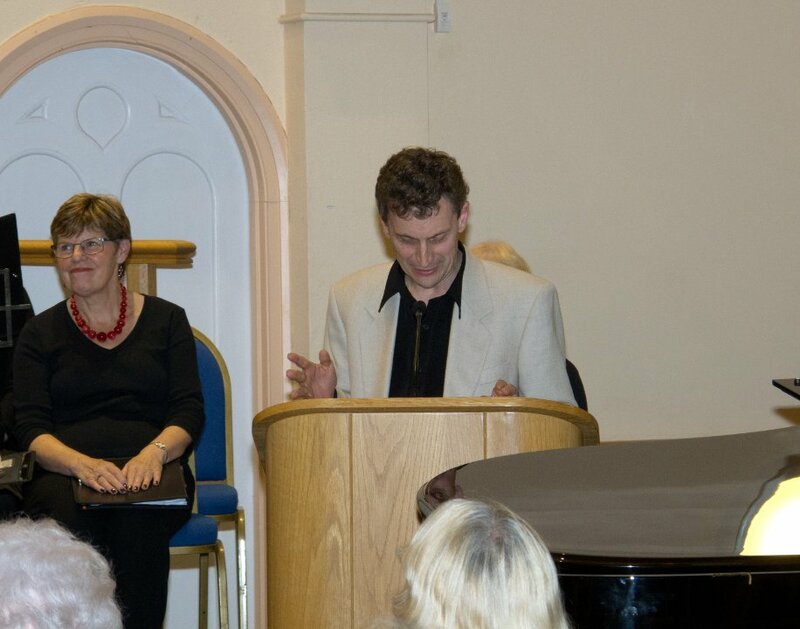 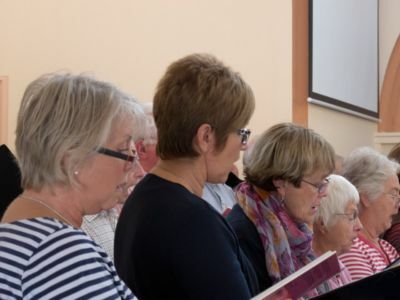 Our ‘Thursday Night is Music Night’ concert was held in Georgetown Methodist Church, with excerpts taken from our summer 2014 light music programme. 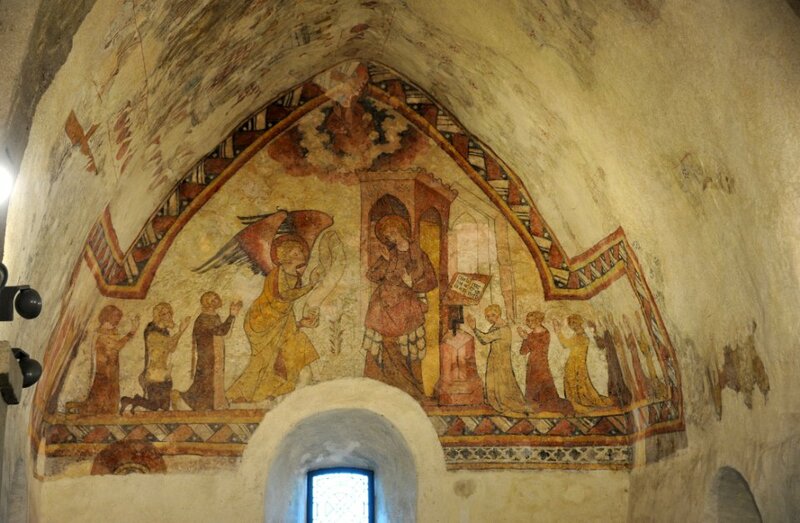 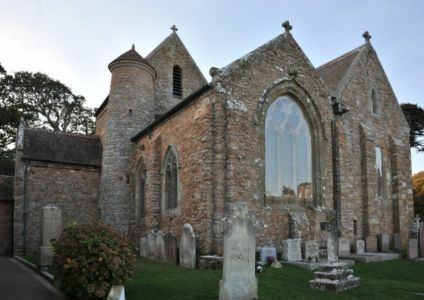 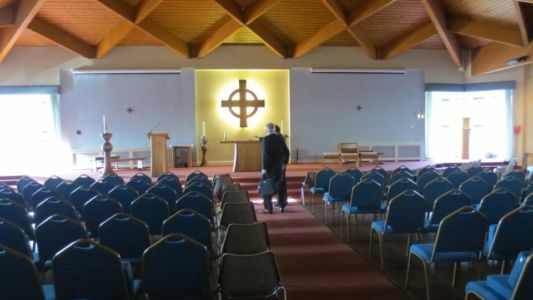 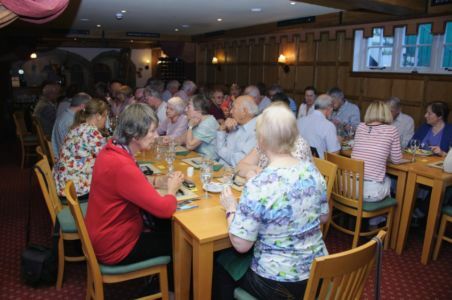 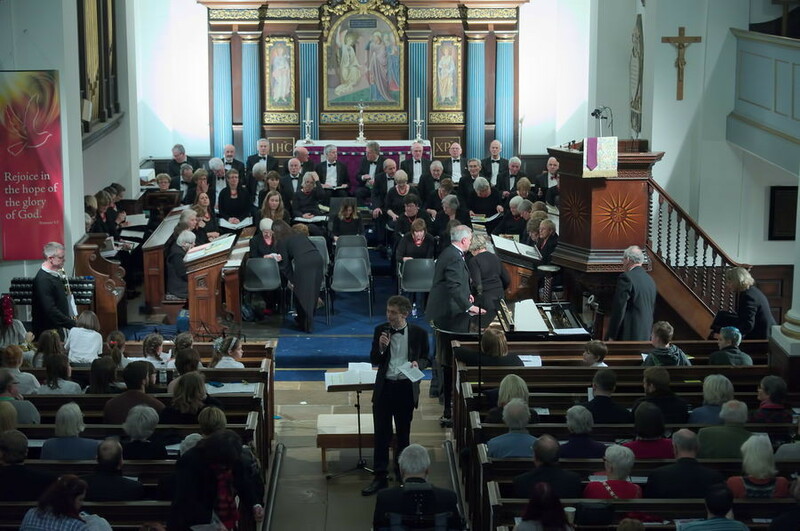 We received an exceptionally lively and appreciative reception from the audience, with donations totalling £600 towards replacing the leaking church windows. 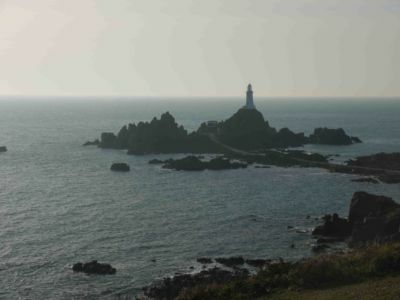 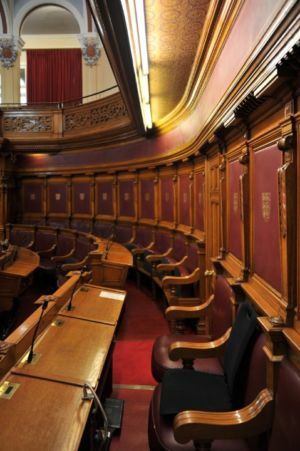 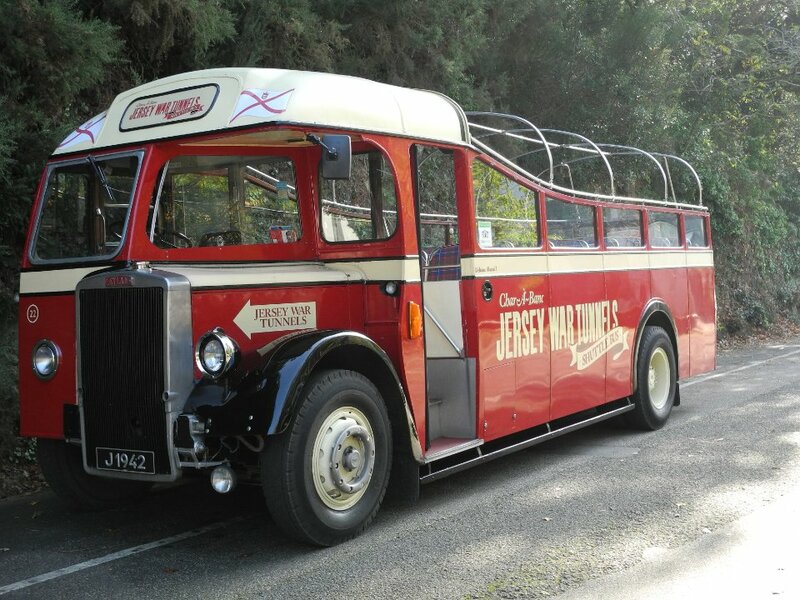 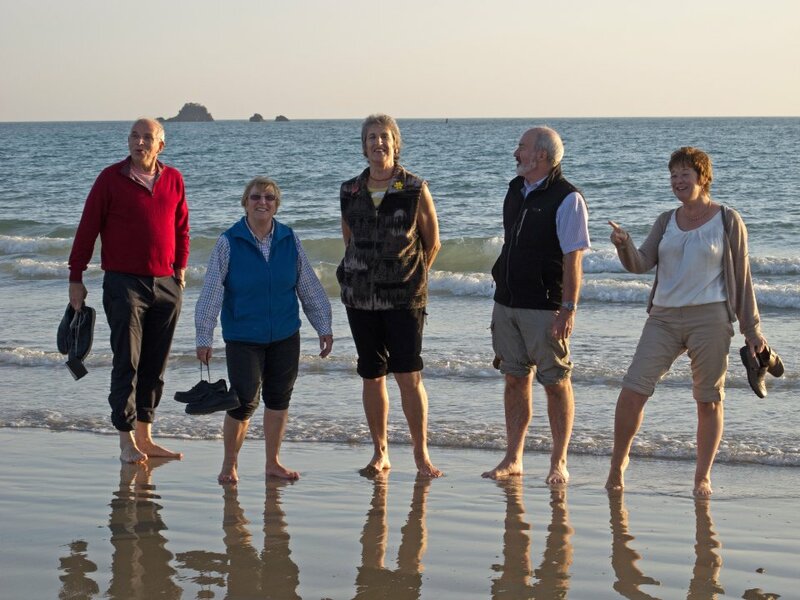 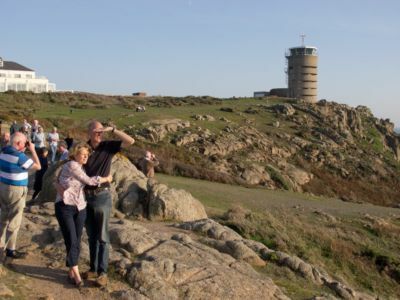 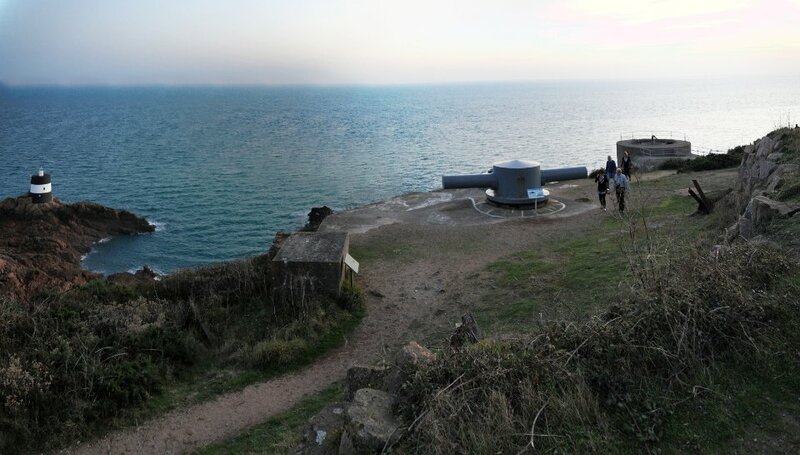 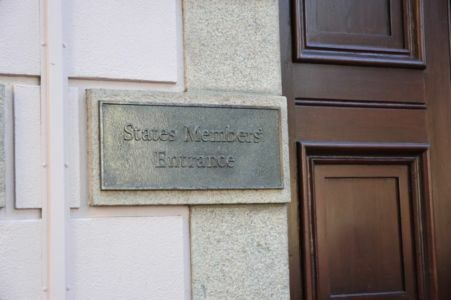 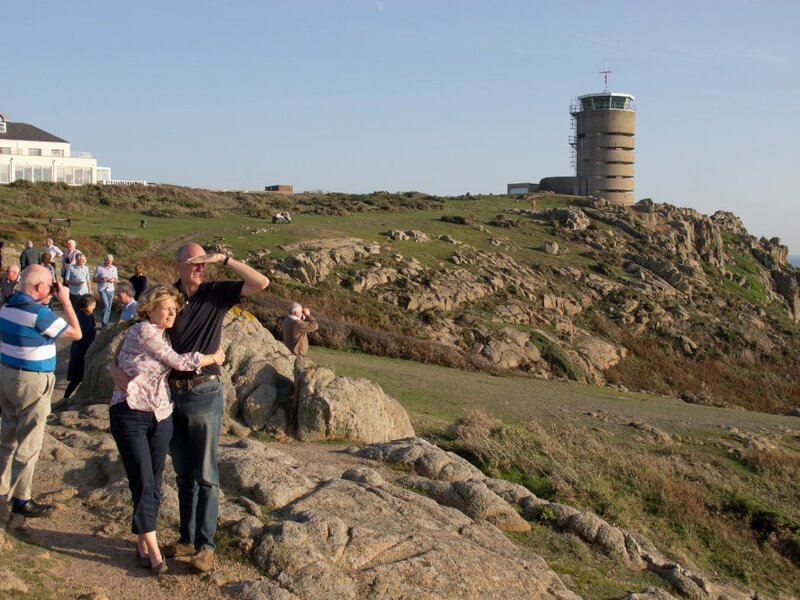 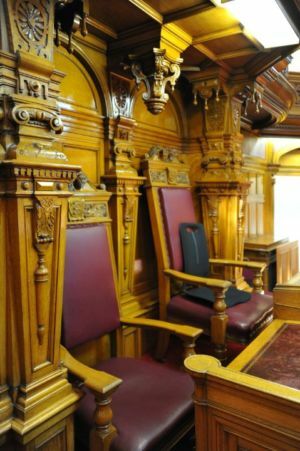 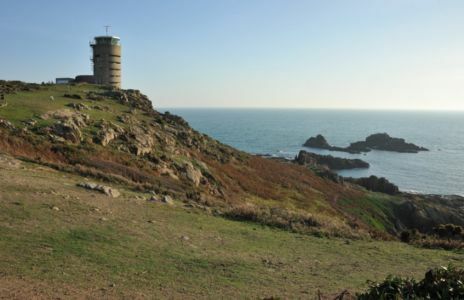 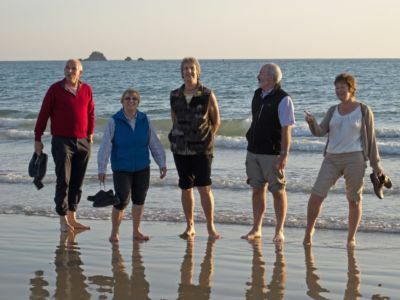 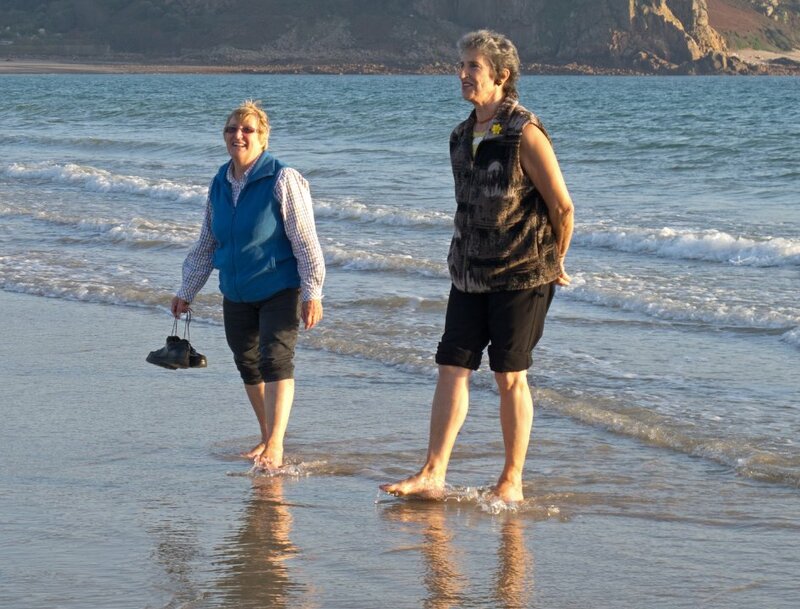 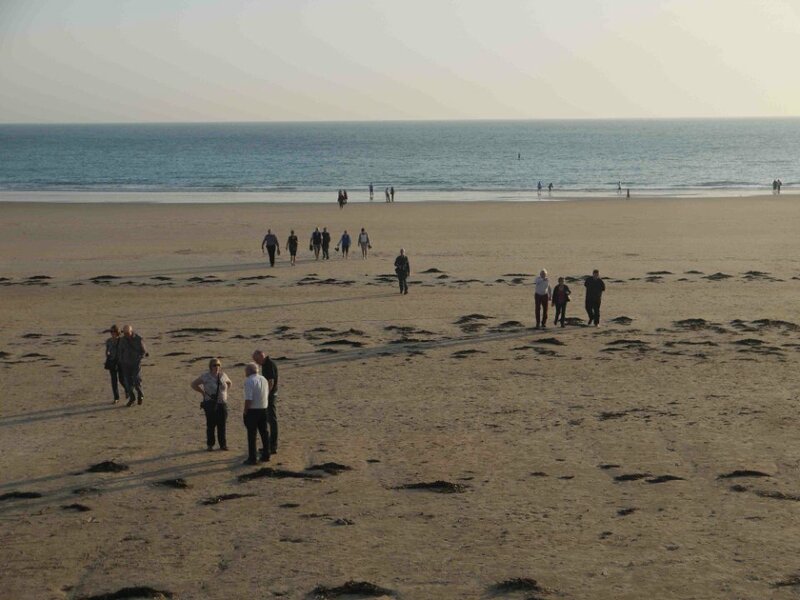 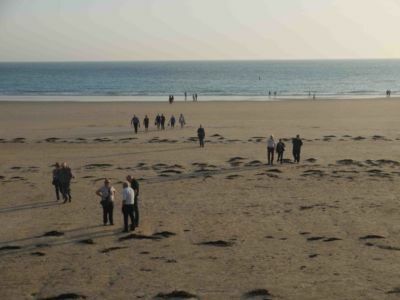 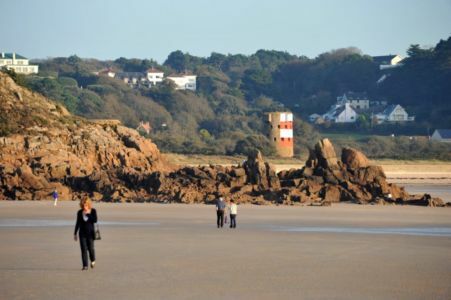 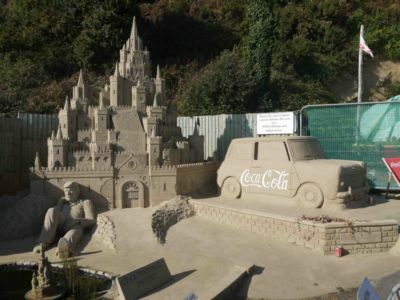 The following day we enjoyed a full-day tour of the island, with an itinerary designed to show us exactly why Jersey is renowned for its wonderful beaches and scenery, starting with a private, guided tour of the Jersey States Building and ending with a visit to Noirmont German Bunker. 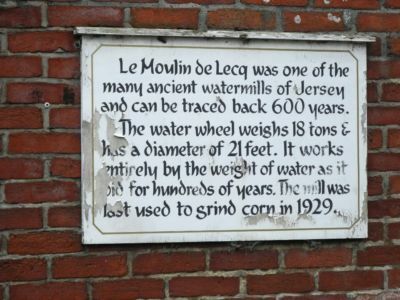 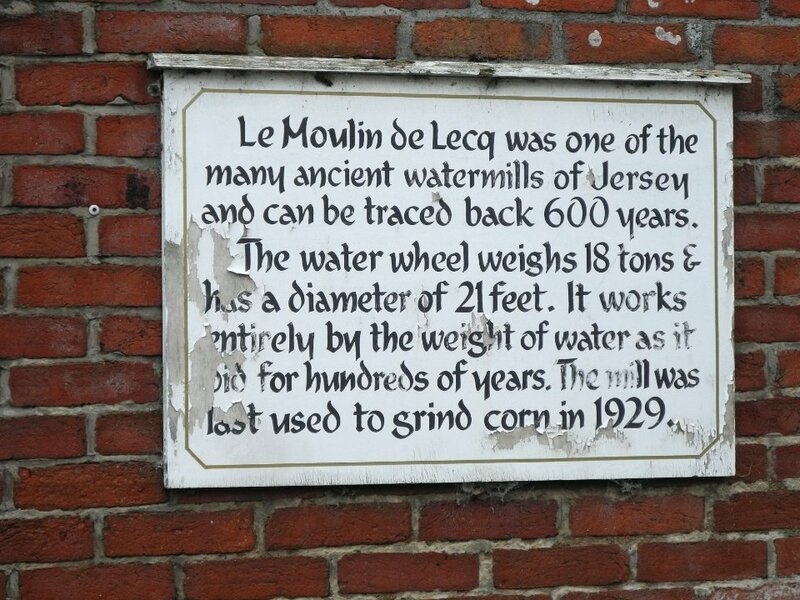 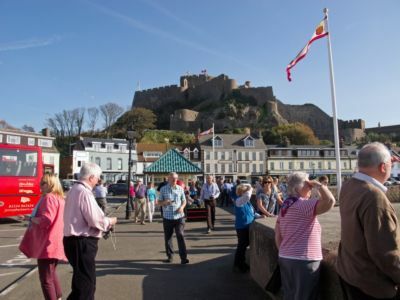 Jersey’s occupation during WW2 makes fascinating history. 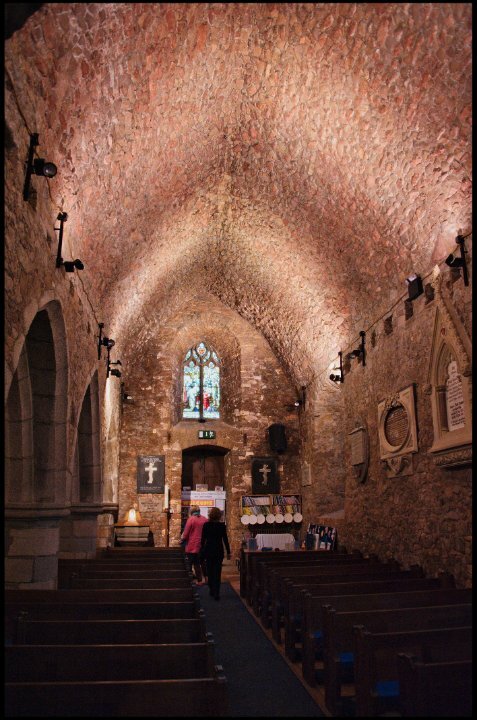 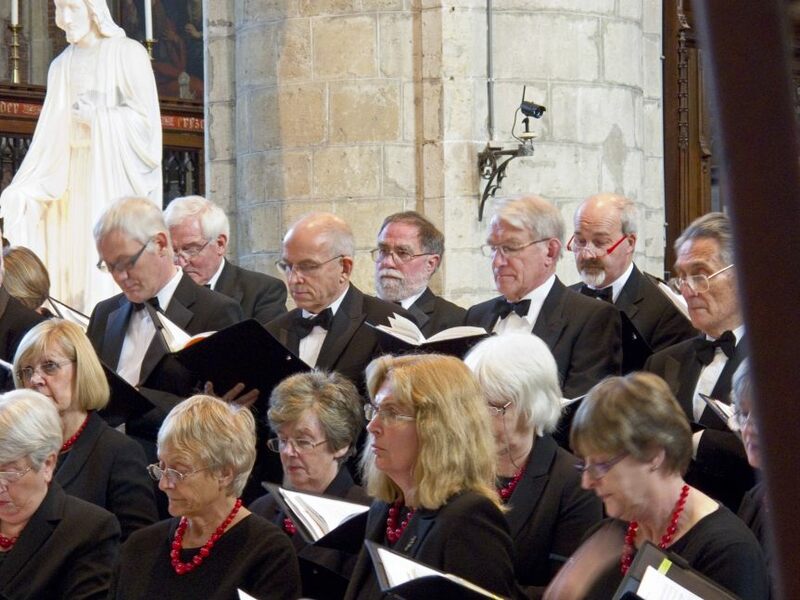 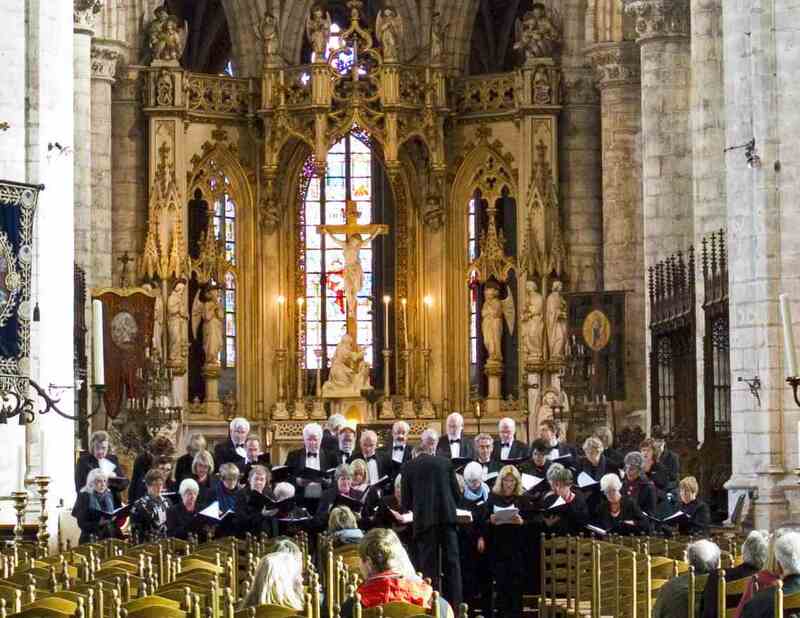 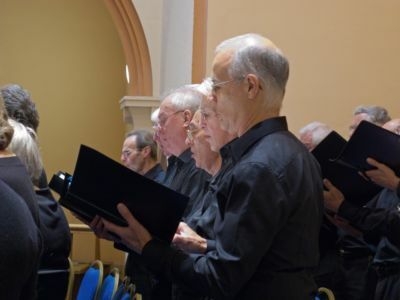 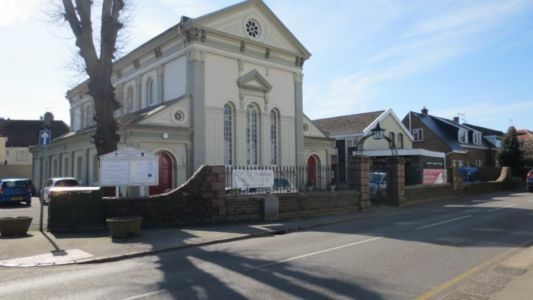 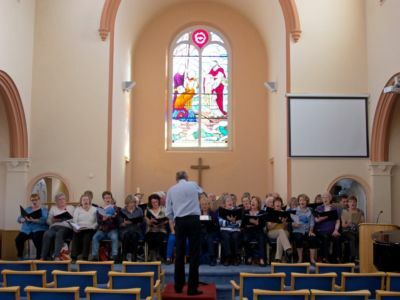 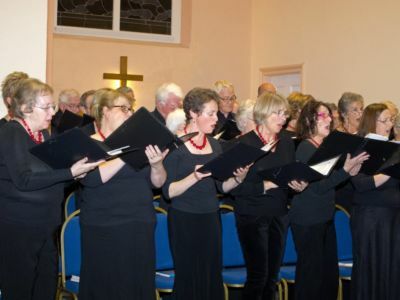 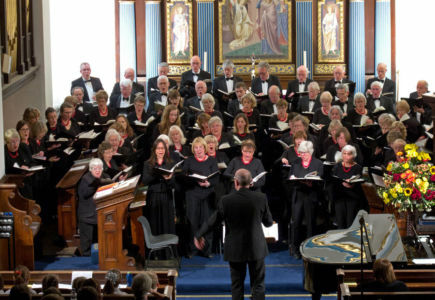 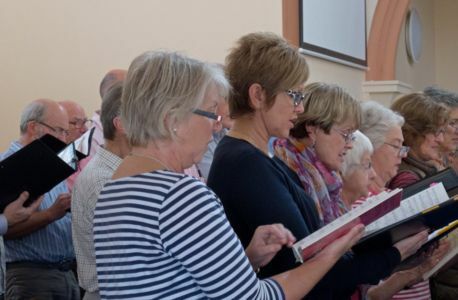 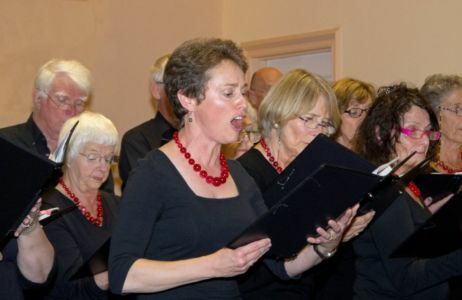 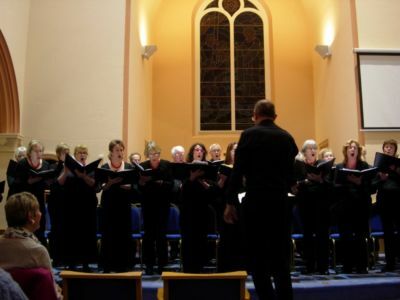 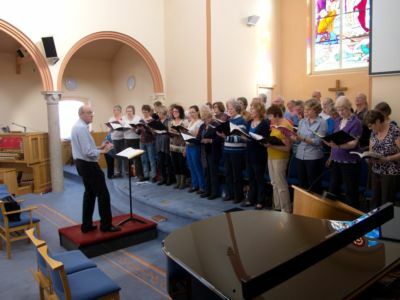 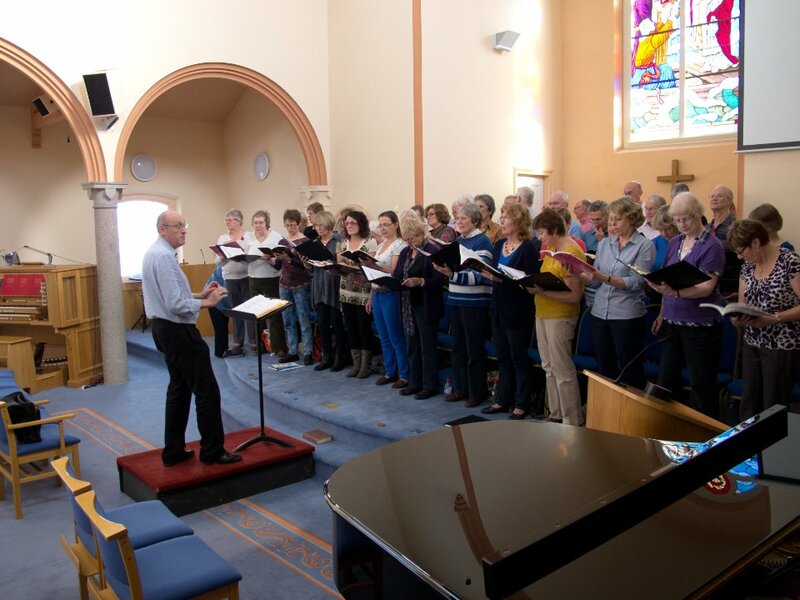 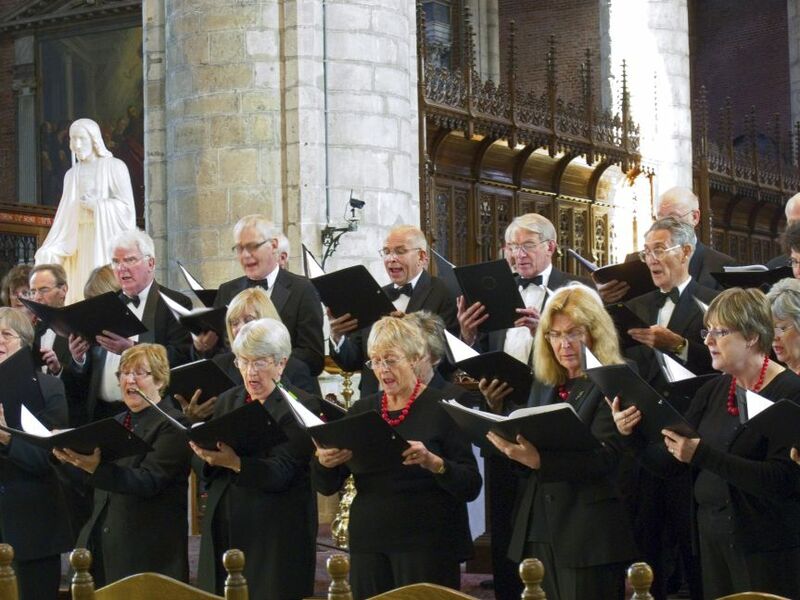 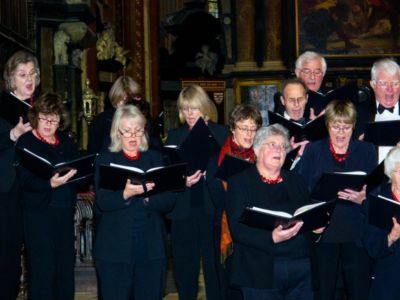 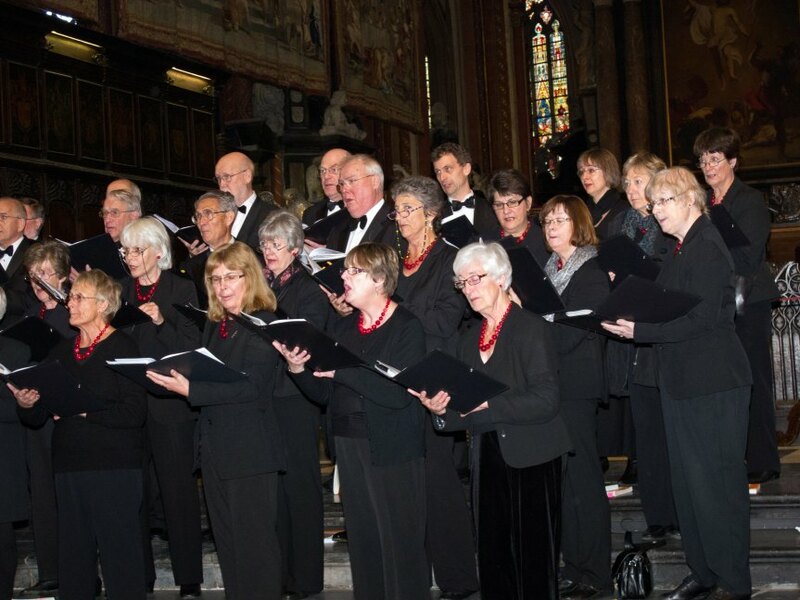 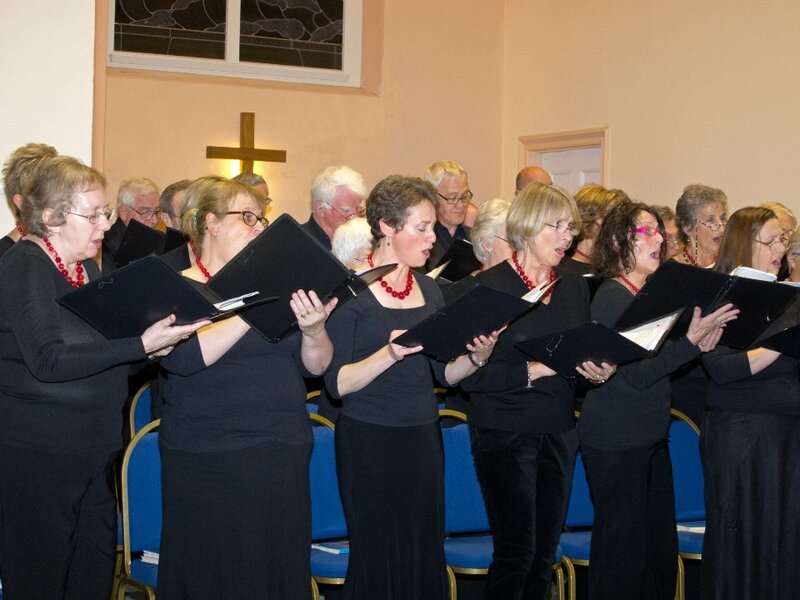 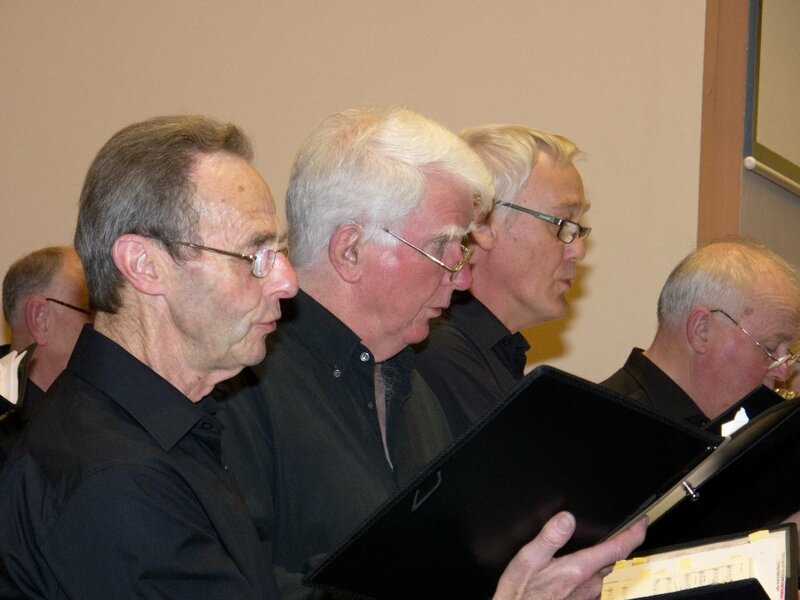 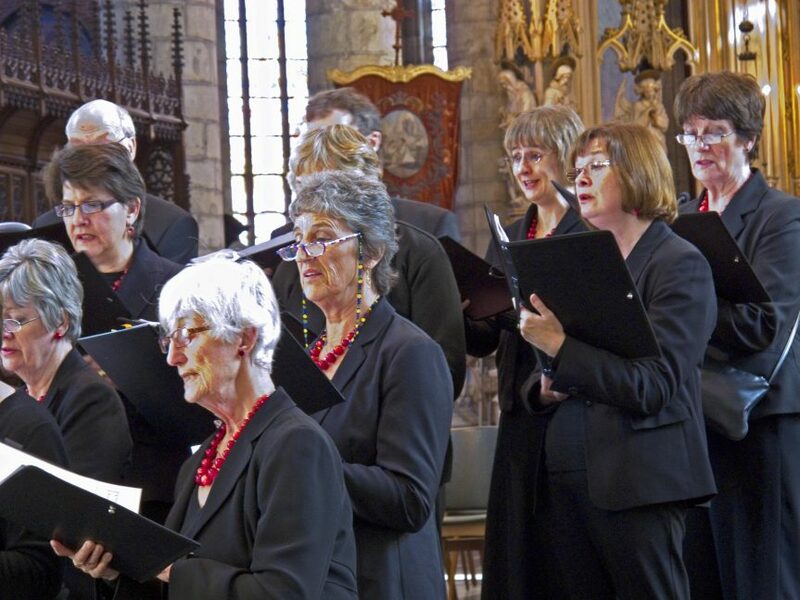 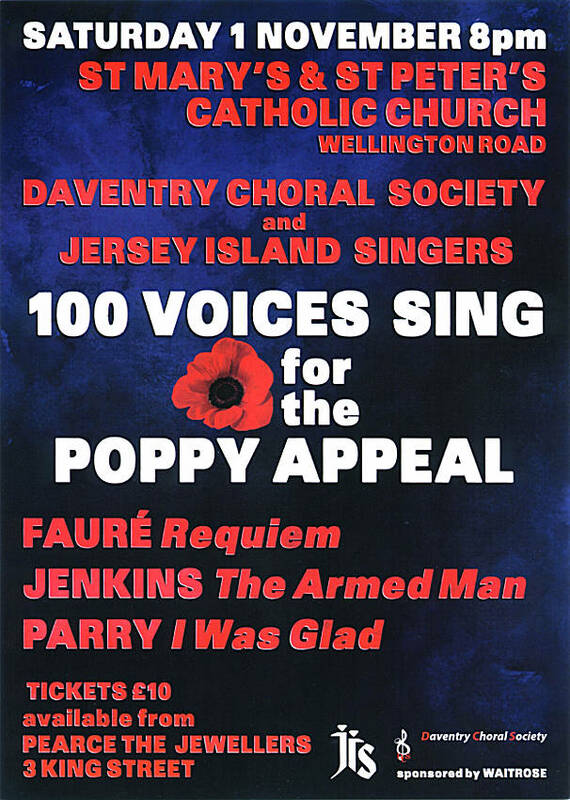 Jersey Island Singers had invited us to join them for the ‘Poppy Appeal 100 Voice Concert’ on the Saturday, November 1st, at the Catholic Church of St. Mary and St. Peter. 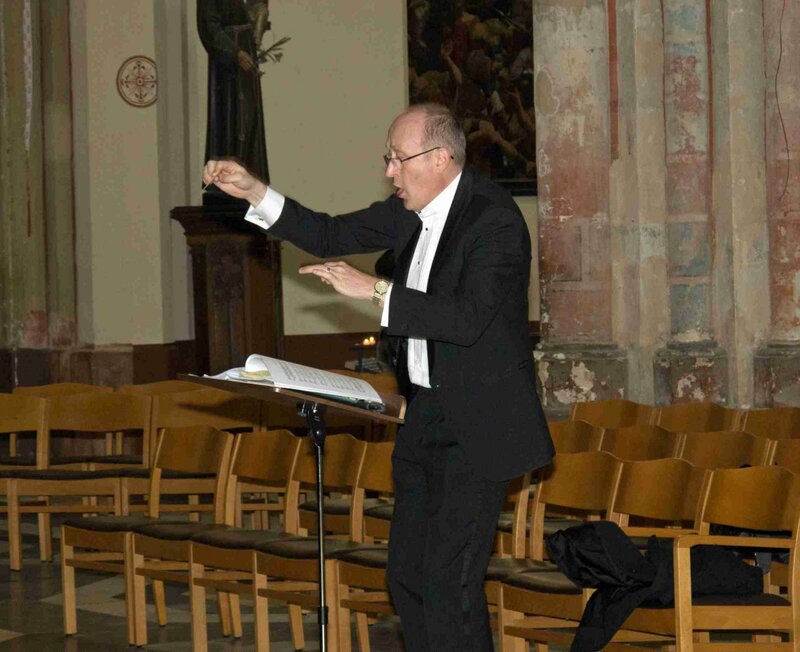 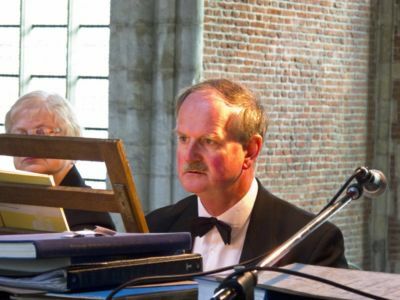 A very well received and truly memorable occasion, conducted by Nick, with Jersey baritone, organist, and a cellist who played a most moving rendition of Benedictus from ‘The Armed Man’. 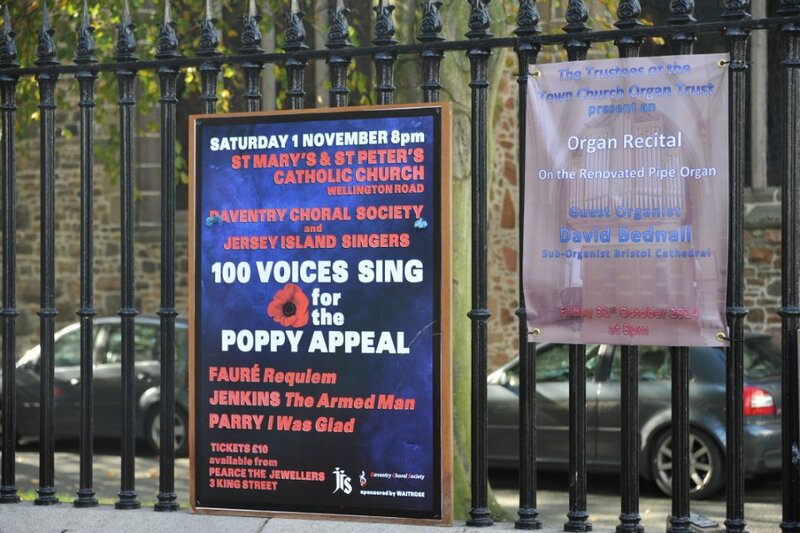 Our own soprano soloist, Tamsen Flack, sang beautifully the Pie Jesu from ‘Fauré Requiem’. 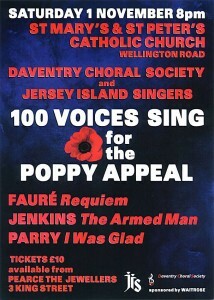 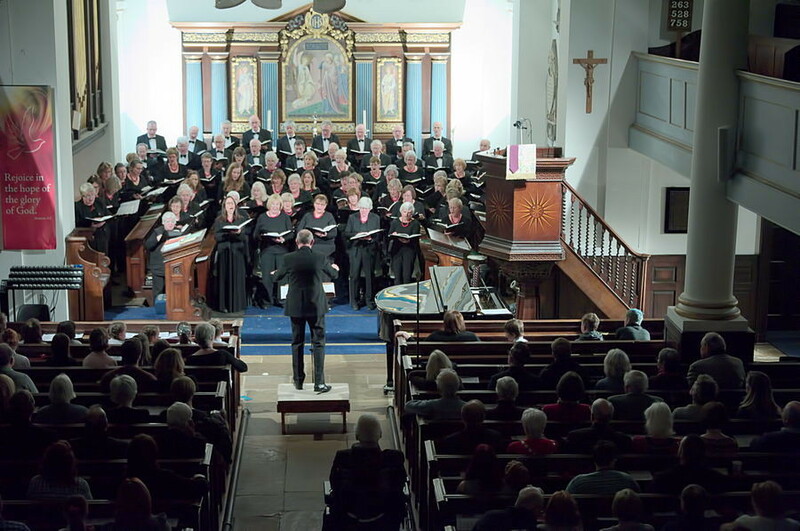 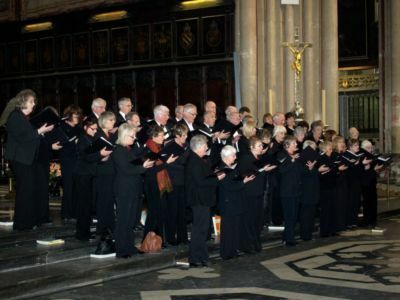 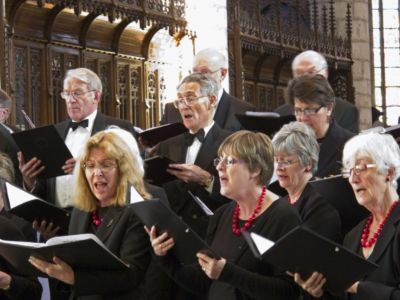 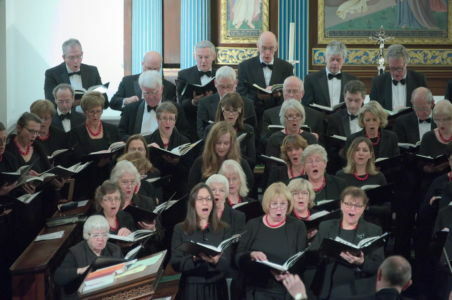 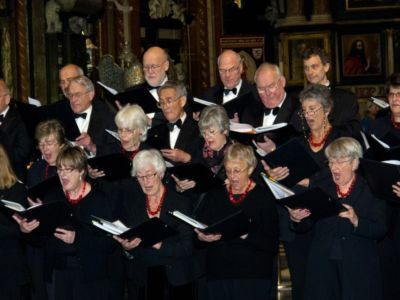 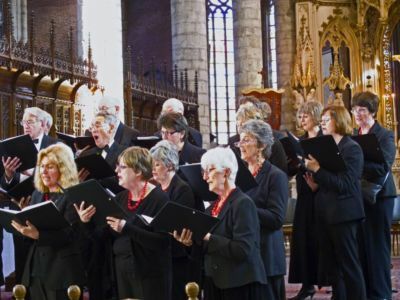 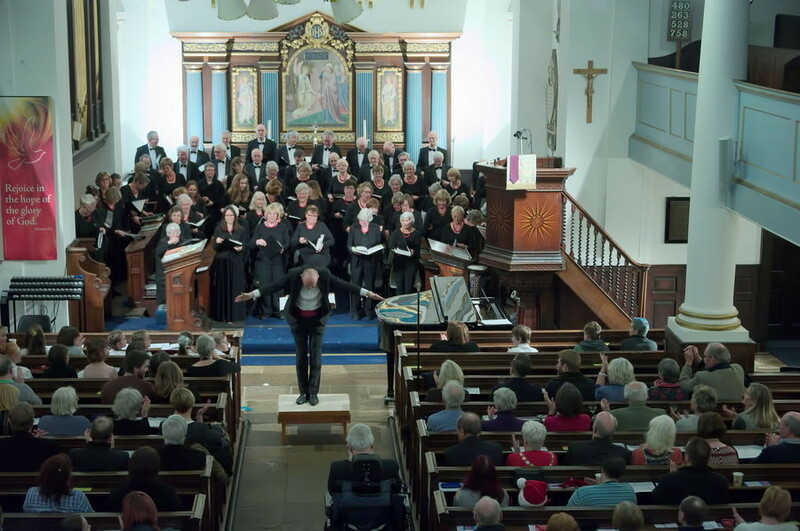 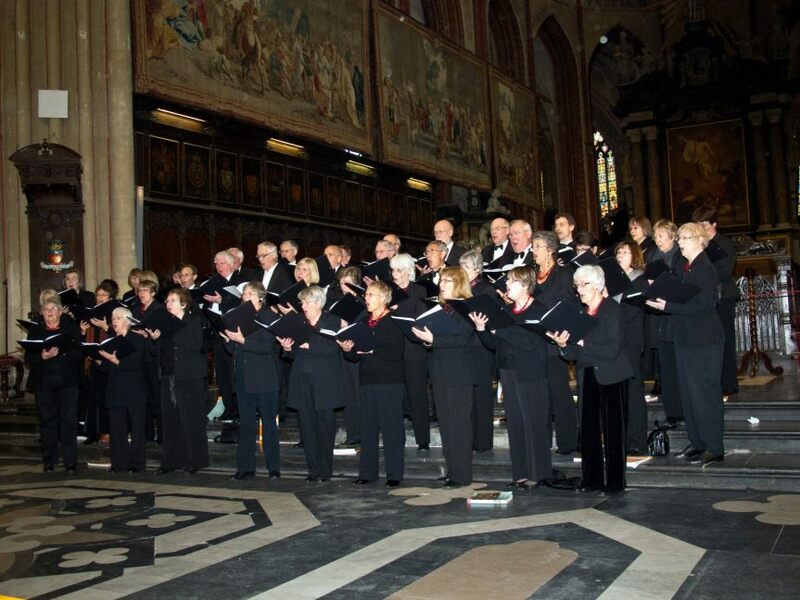 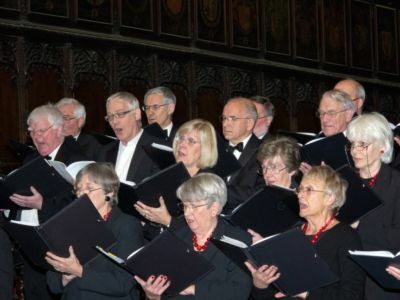 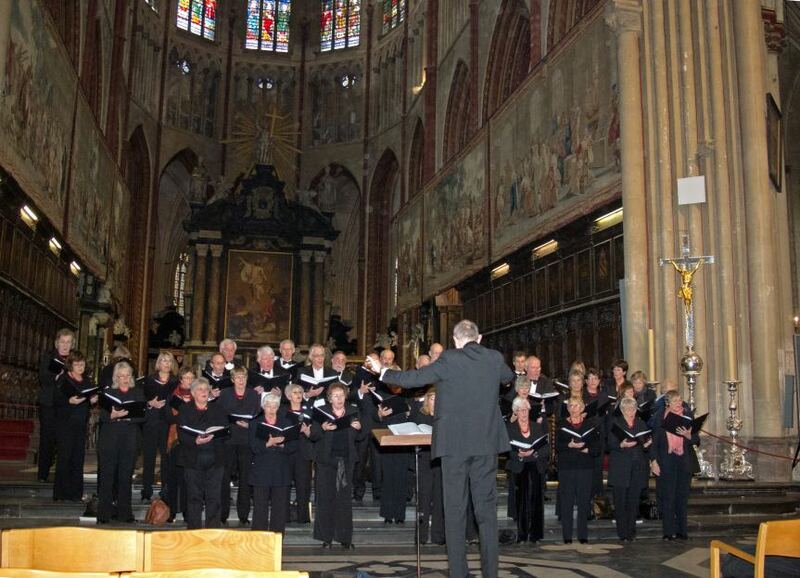 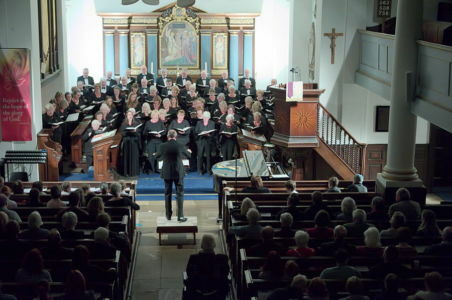 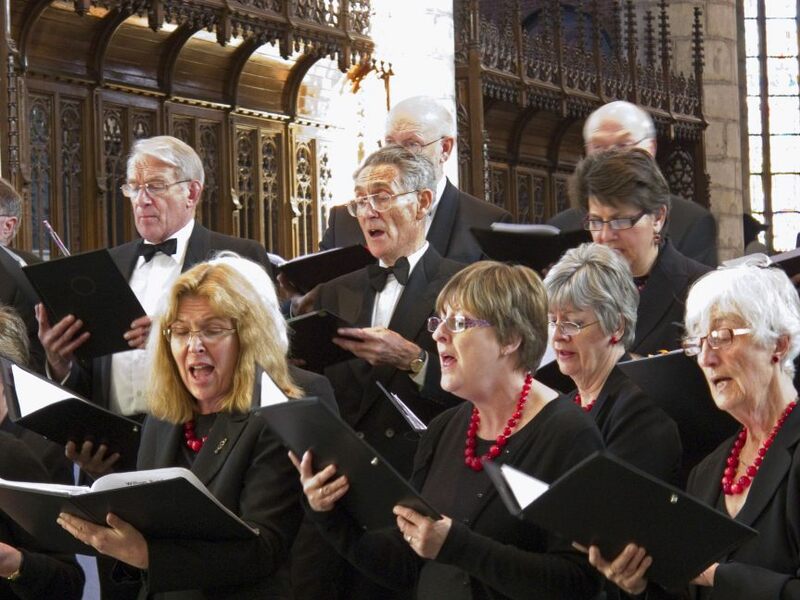 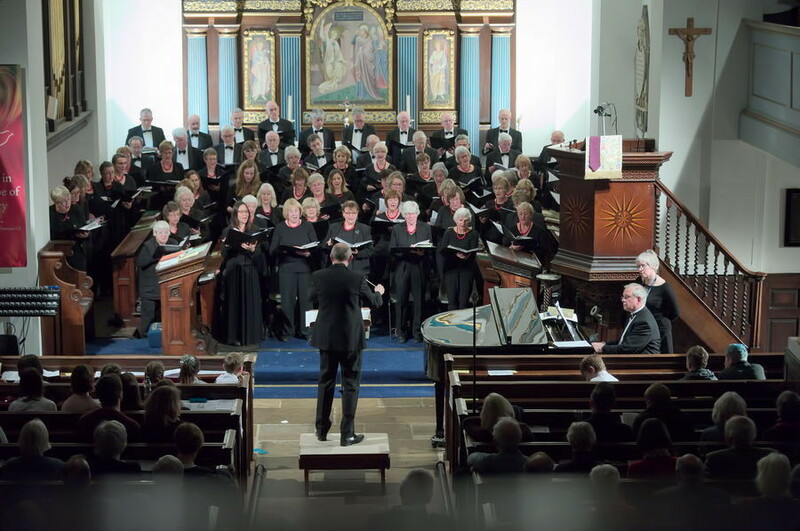 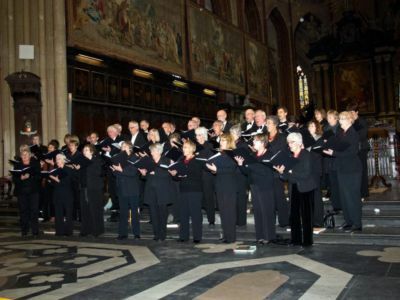 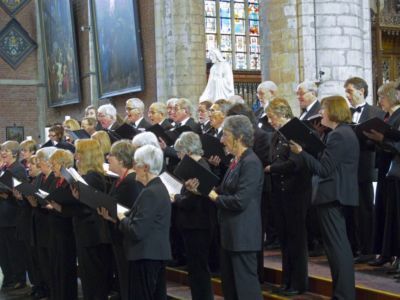 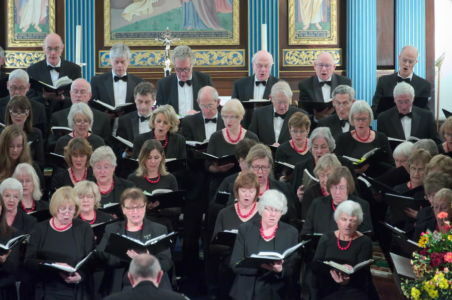 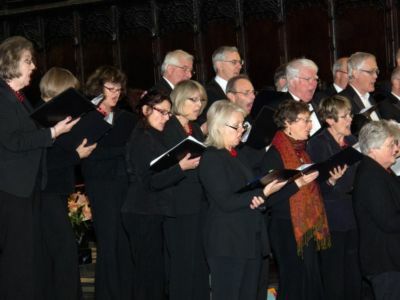 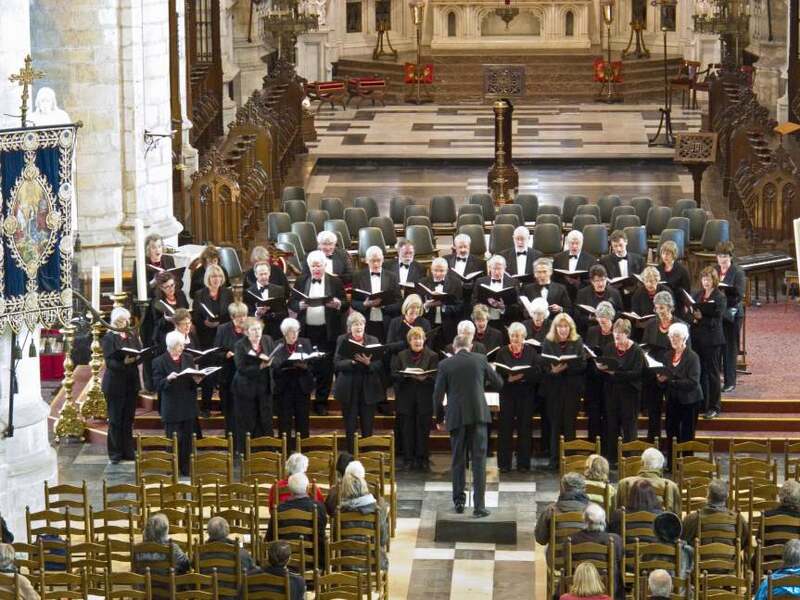 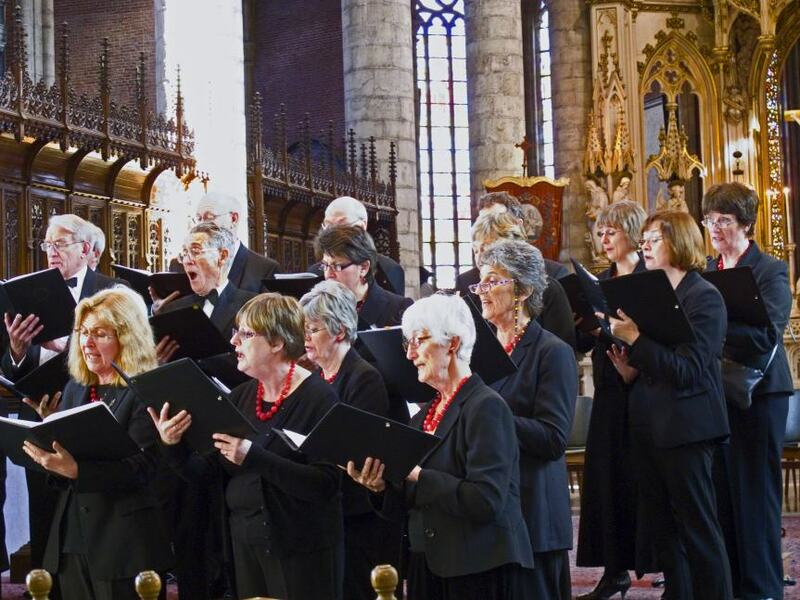 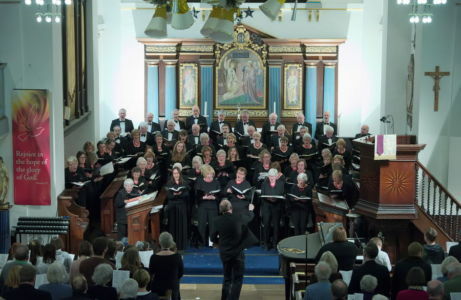 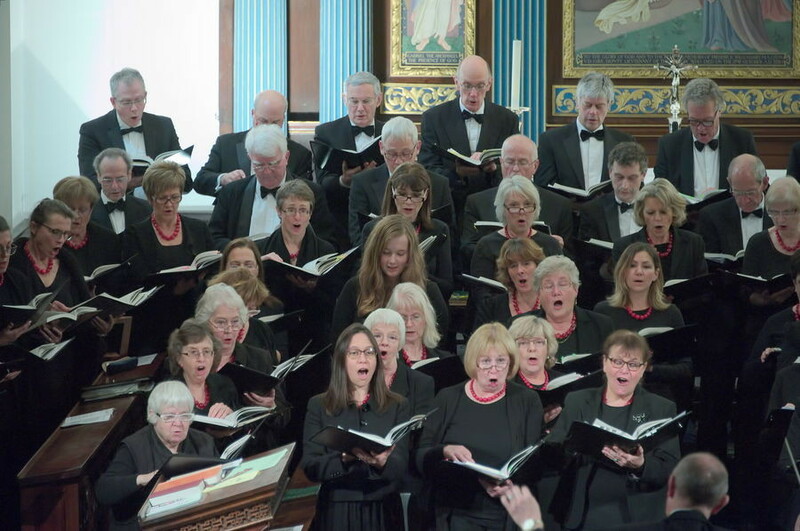 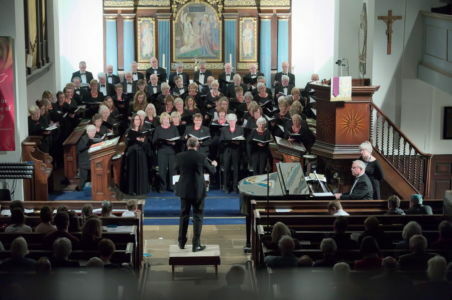 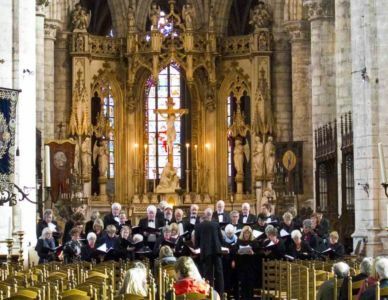 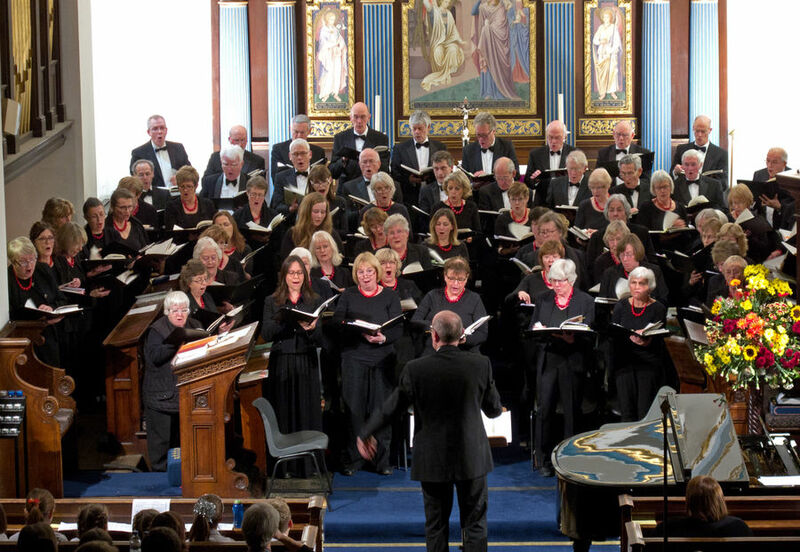 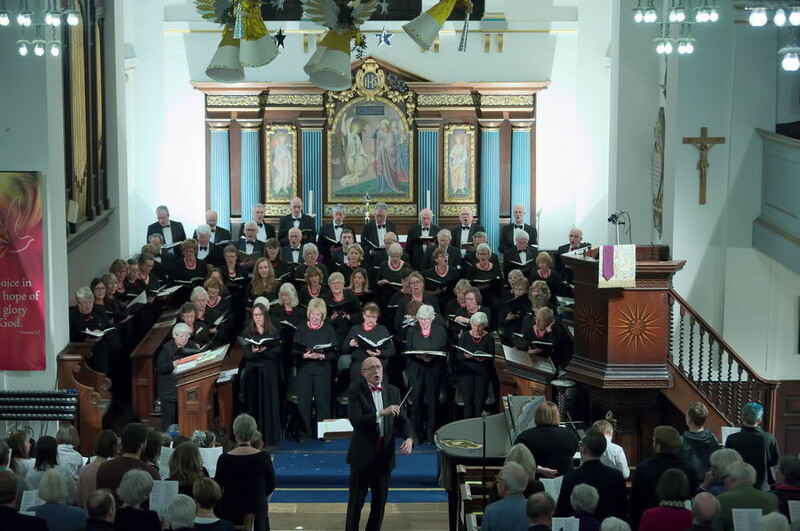 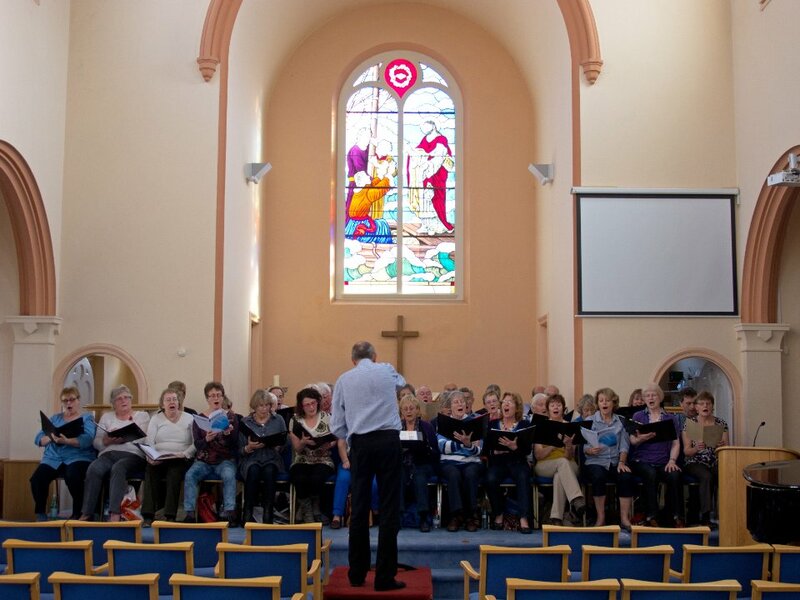 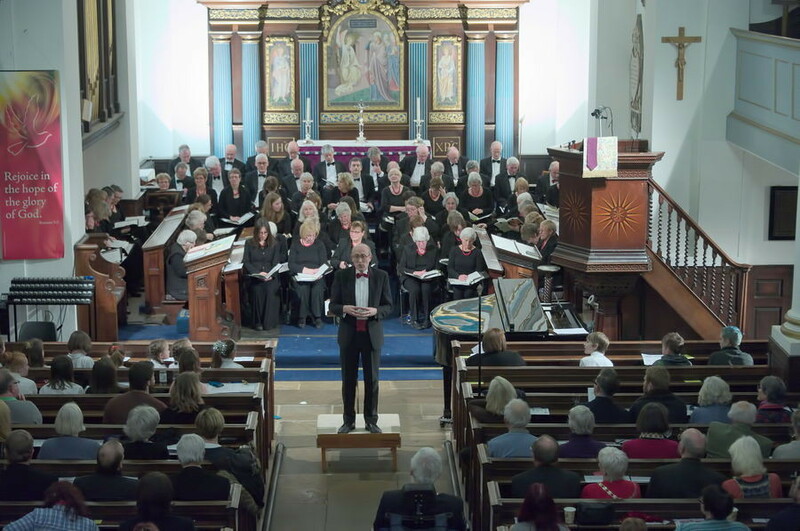 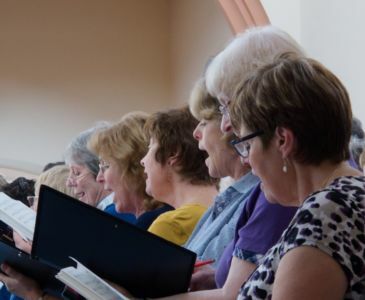 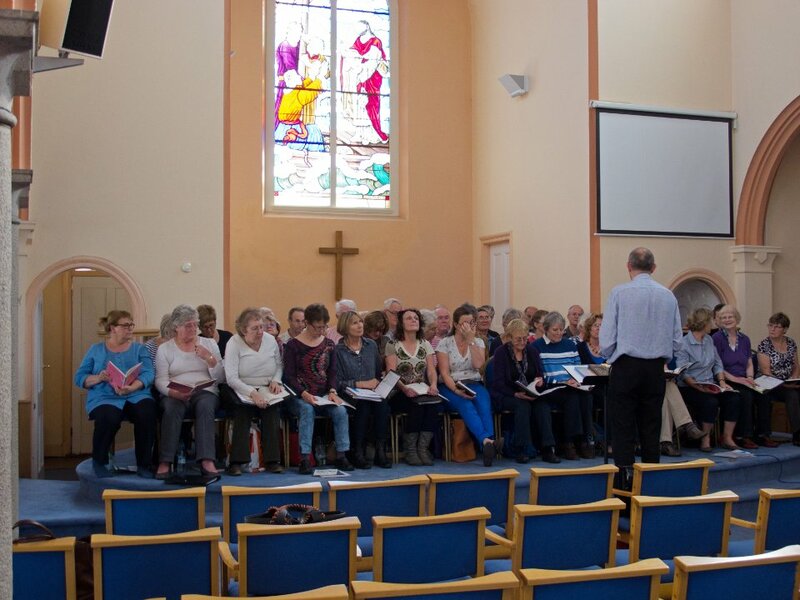 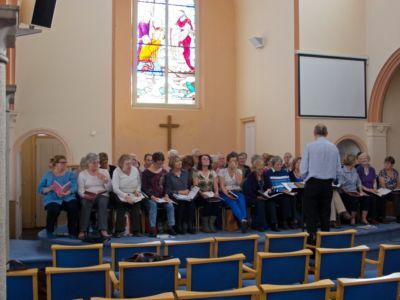 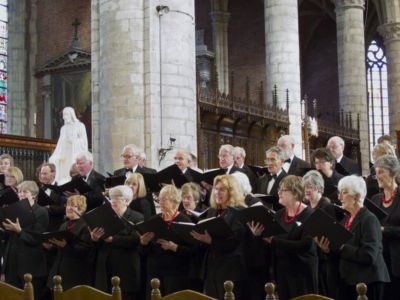 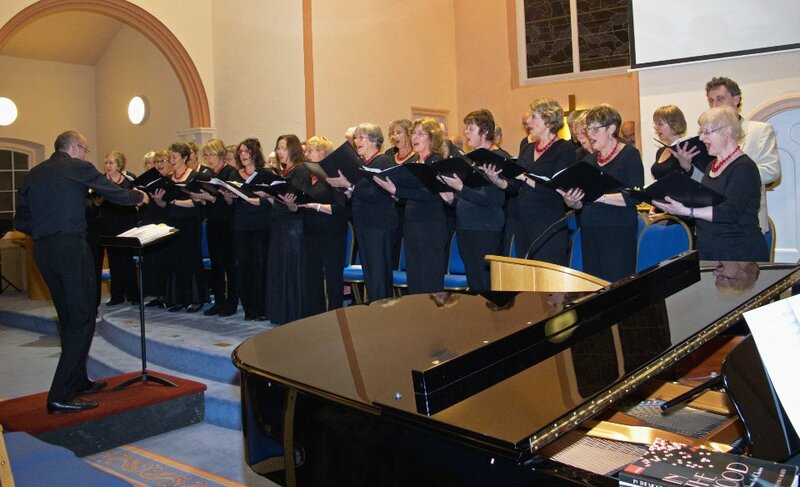 Together, the two choirs raised an astonishing £2000 for the Poppy Appeal! Rain on our last day! 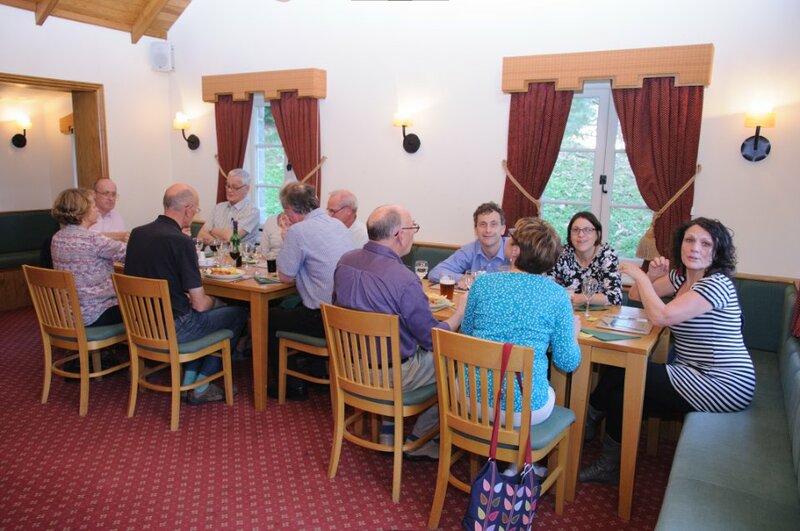 But this did not deter us from enjoying our End-of-Tour Carvery Lunch at the Pomme d’Or Hotel; a three-course feast! 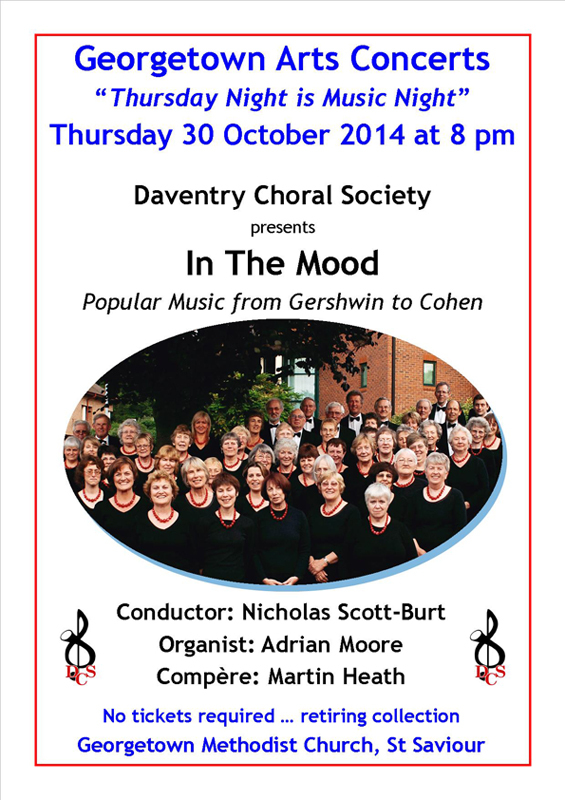 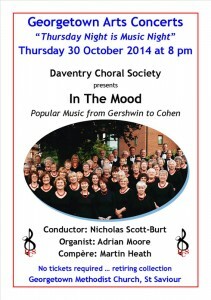 Then to the airport, replete, eventually arriving in Daventry late evening. 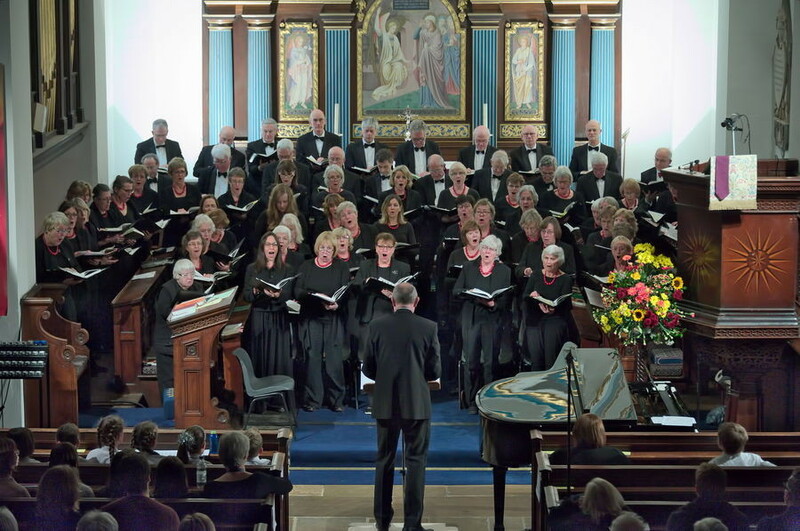 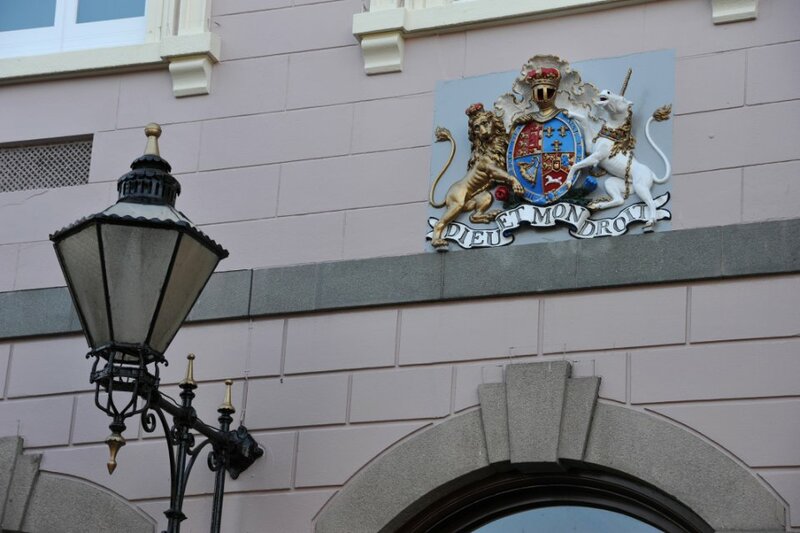 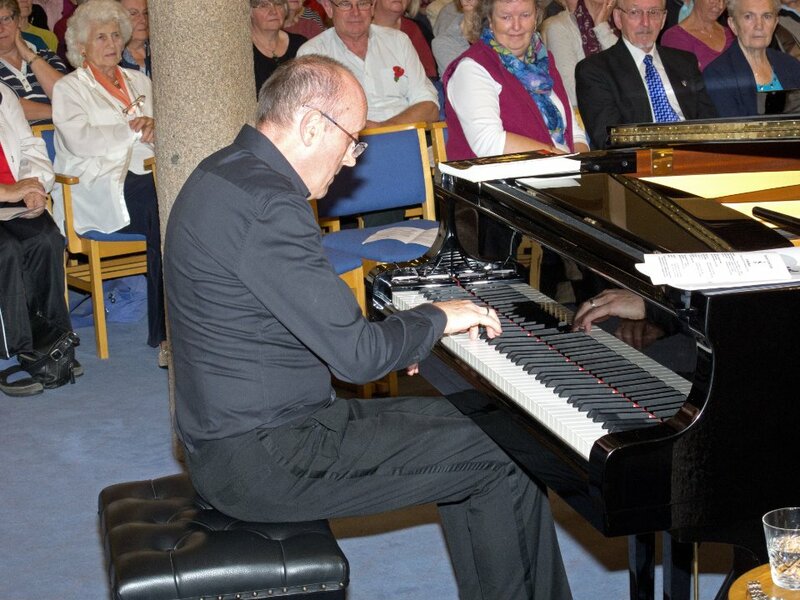 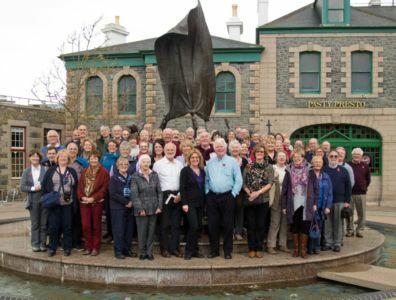 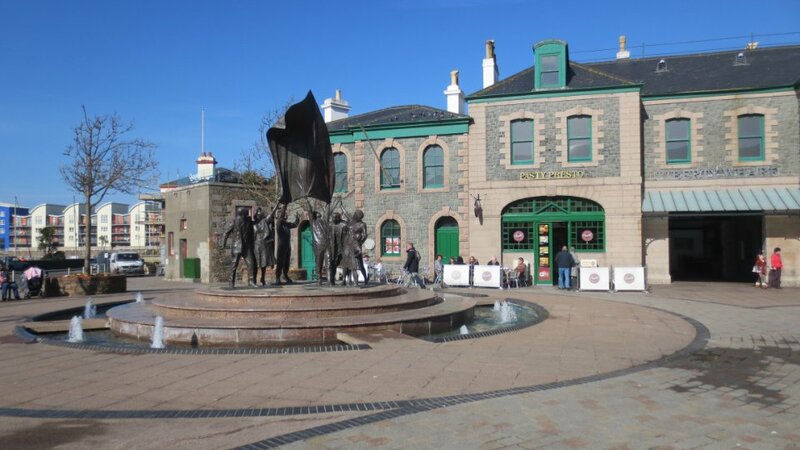 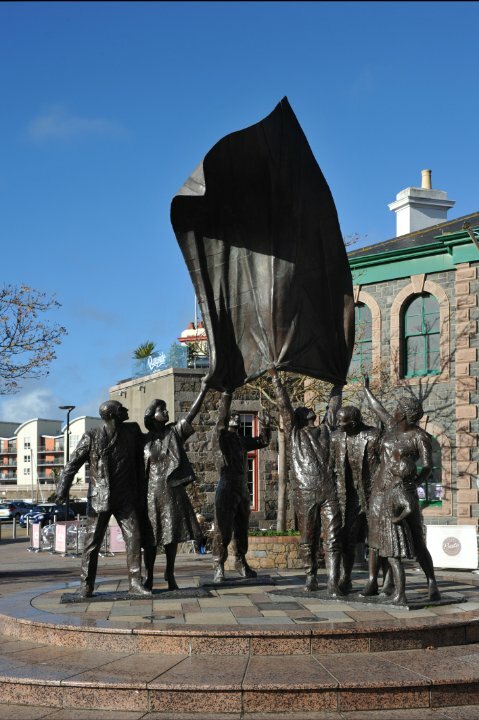 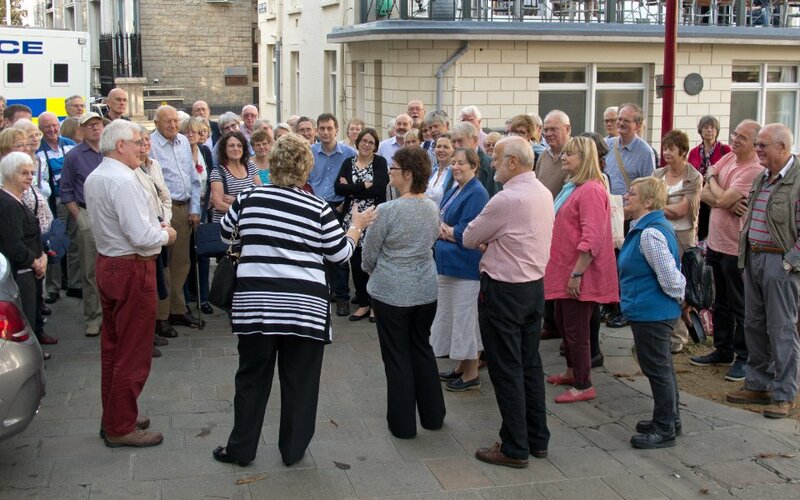 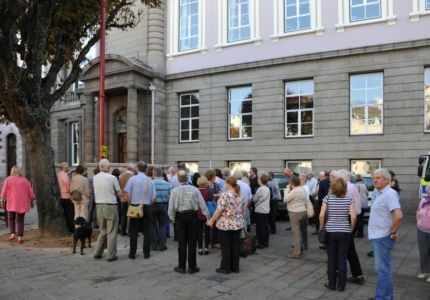 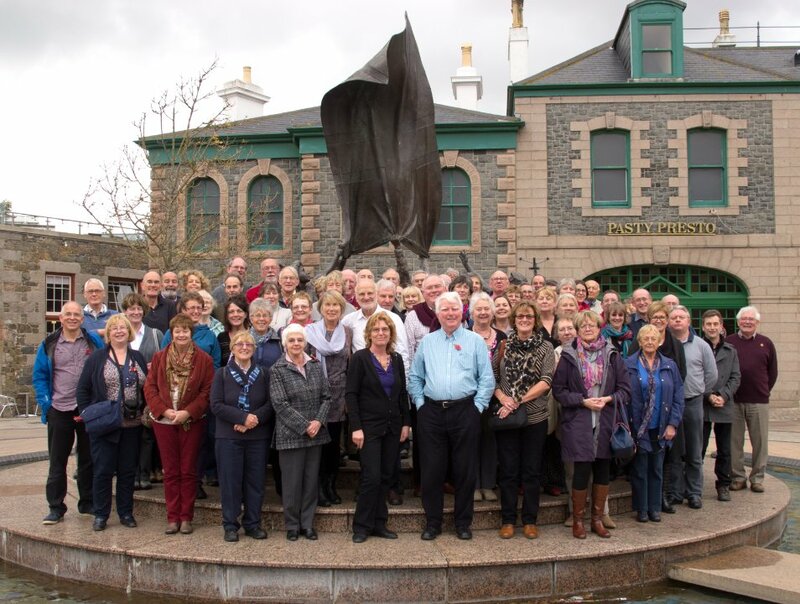 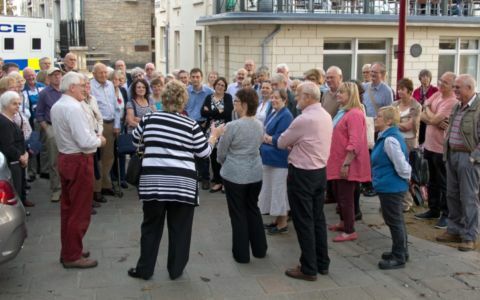 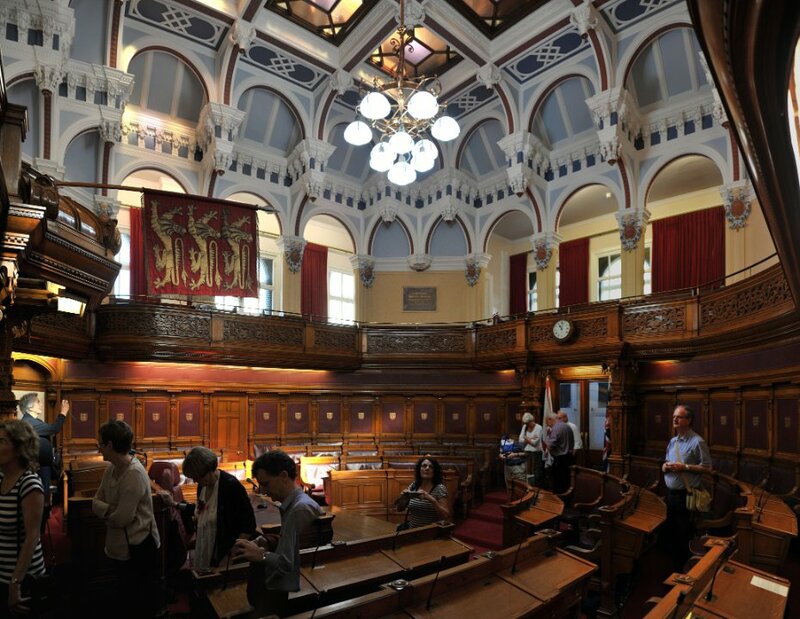 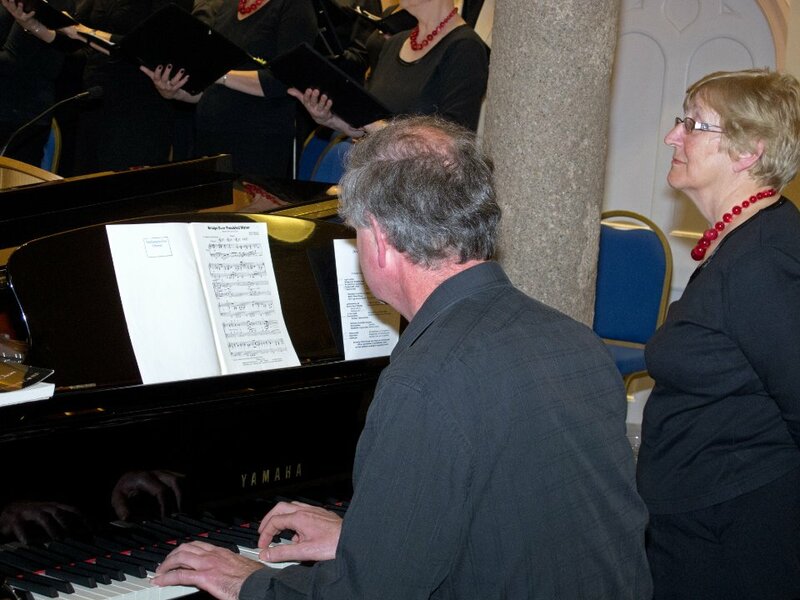 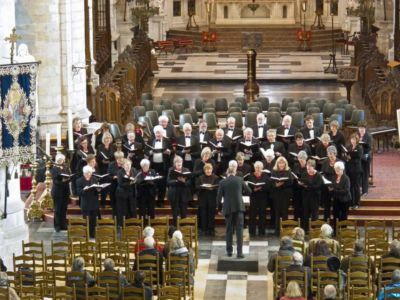 Our special thanks to the welcoming people of Jersey, and most especially, to the Jersey Island Singers for their help and support in making our tour such an enjoyable success.